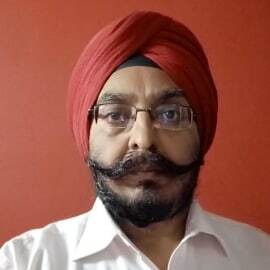 Dr. Avtar Singh Dua, M.D., M.B.A. is a public health professional and management professional by training. He is presently Professor (PSM) and General Manager (Technical) with RajComp Info Services Limited (RISL), a leading consultation organization in the field of Information Technology. He was instrumental in the design, development and implementation of IT Solution for Bhamashah Swasthya Bima Yojana, the flagship health insurance scheme of Government of Rajasthan. IT Solution for Health Insurance Scheme of Govt of Rajasthan was awarded at the Business World Digital India Summit in 2017 and was also awarded SKOCH Smart Governance Award 2017 under ‘Platinum’ category. Dr. Dua has more than 26 years of experience in public health. While working as Assistant Professor / Associate Professor / Professor in Community Medicine, he has worked on deputation with varied organizations. He has worked as Public Health Specialist with WHO as Member, Sub-Commission with National Commission on Macroeconomics and Health, Government of India in 2004-05 for making an evicence-based plea for increasing investment in health sector. He played a critical role in estimating the minimum funding requirement The work of National Commission on Macroeconomics and Health (NCMH) was appreciated by WHO Headquarters. He has worked as Health Specialist and National Professional Officer with UNICEF Office for Rajasthan. He has worked for more than 12 years at State level for the State of Rajasthan for Project / Programme planning and implementation. He is currently working on design, development and implementation of Integrated Health Management System including Telemedicine and PACS for Rajasthan, with focus on developing Electronic Health Record of the citizens under the broad umbrella of Bhamashah Scheme.